Kodi® (formerly known as XBMC™) is an award-winning software media center for playing videos, music, pictures, games, and more. Kodi runs on Linux, OS X, Windows, iOS, and Android, featuring a 10-foot user interface for use with televisions and remote controls. It allows users to play and view most videos, music, podcasts, and other digital media files from local and network storage media and the internet. v17 Krypton brings updated default user interfaces, better organization of settings, and many under-the-hood changes on VideoPlayer, Music Library, PVR, audio on Android, and thousands of small bugfixes and improvements to stability. The official Kodi version does not contain any content what so ever. This means that you should provide your own content from a local or remote storage location, DVD, Blu-Ray or any other media carrier that you own. 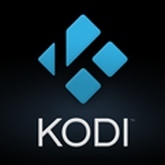 Additionally, Kodi allows you to install third-party plugins that may provide access to content that is freely available on the official content provider website. The watching or listening to illegal or pirated content which would otherwise need to be paid for is not endorsed or approved by Team Kodi. There are some problems with Skins. Adonic gets stuck- redownload is the only fix. Updated at: March 1, 2018, 10:47 a.m.